A lesson for experienced crocheters! 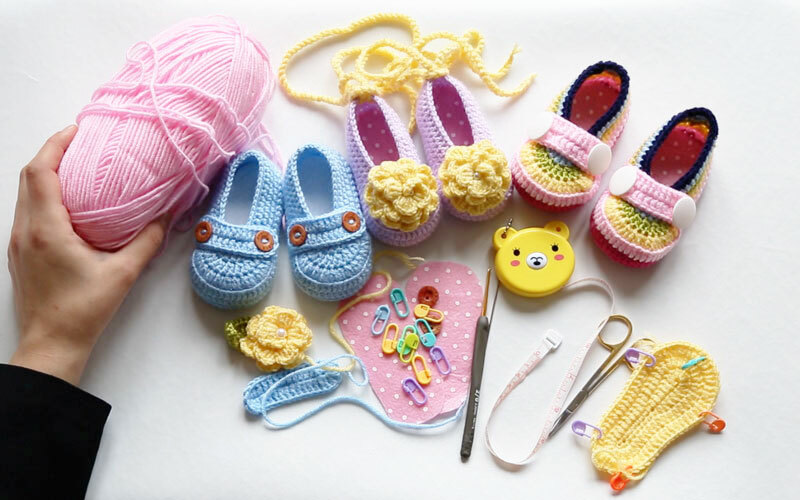 This lesson is on how to crochet baby shoes. 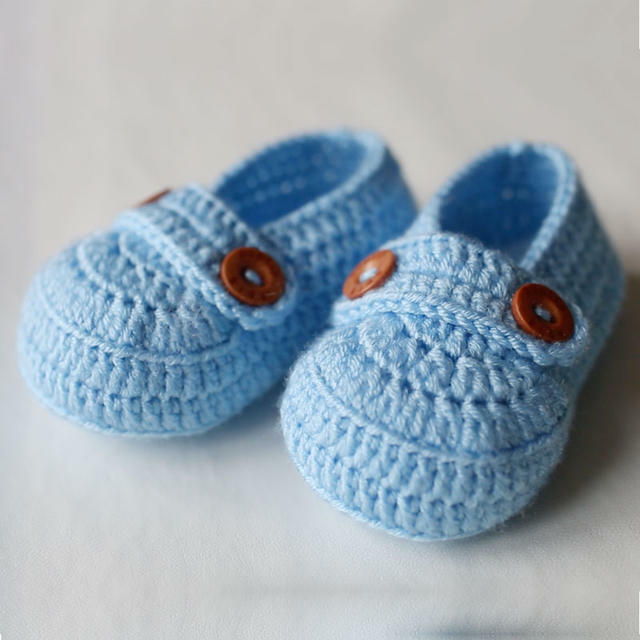 This lesson will teach you how to crochet yarn shoes for newborns and 1 year old babies. 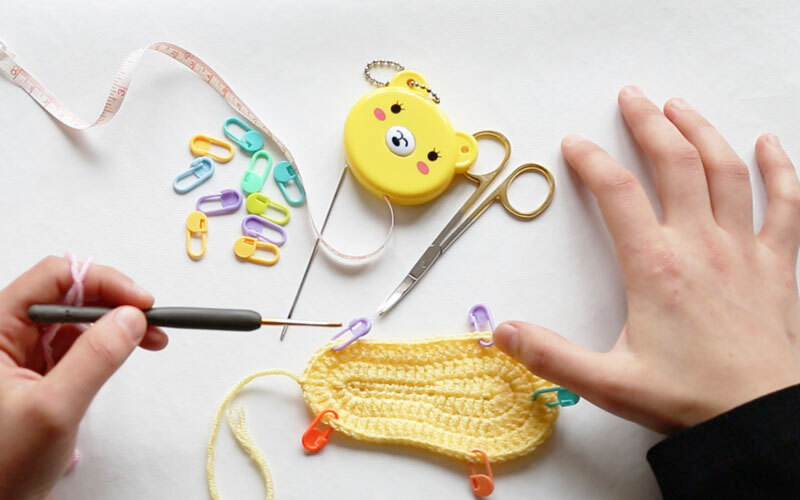 This is targeted to experienced crocheters and will be using basic crochet techniques. When you make projects stitch by stitch, they're filled with heart and warms unlike store bought items. 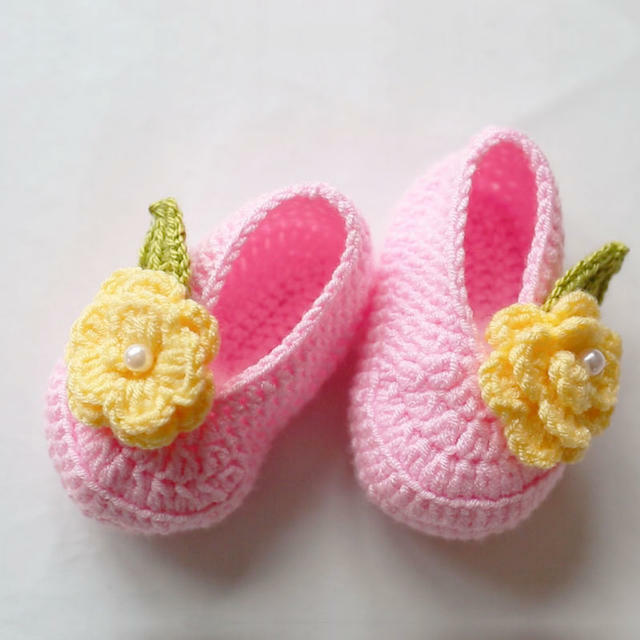 Handmade baby shoes are sure to become special. You can make these for your own child, or give them as a gift. This lesson will go over both girl shoes and boy shoes. Although their bases are the same, the two designs have different finishing touches. The girl's design has a flower on the toes, and the boy's design has a band. You will be able to master these skills in the lesson. By learning how to make the boy design and the girl design, the scope of your projects will surely widen! Once you master this pattern, you can freely arrange it! You can give it a completely different look just by changing the color and type of the yarn. This lesson uses a flower motif, but you can change it to what you like. You can use other feminine motifs like butterflies and fruits too! and arranging it with different decorations!